Trust is important in many kinds of interactions, including direct or computer- mediated human interaction, human-computer interaction and among social agents; it characterizes those elements that are essential in social reliability. It also informs the selection of partners for successful multiagent coordination (for example, in robotics applications). Trust is more than communication that is robust against repudiation or interference. The reliability of information about the status of a trade partner, for example, is only partly dependent on secure communication. With the growing prevalance of social interaction through electronic means, trust, reputation, privacy and identity become more and more important. Trust is not just a simple, monolithic concept; it is multi-faceted, operating at many levels of interaction, and playing many roles. Another growing trend is the use of reputation mechanisms, and in particular the interesting link between trust and reputation. Many computational and theoretical models and approaches to reputation have been developed in recent years (for ecommerce, social networks, blogs, etc.). Further, identity and associated trustworthiness must be ascertained for reliable interactions and transactions. Trust is foundational for the notion of agency and for its defining relation of acting “on behalf of”. It is also critical for modeling and supporting groups and teams, for both organization and coordination, with the related trade-off between individual utility and collective interest. The electronic medium seems to weaken the usual bonds of social control and the disposition to cheat grows stronger: this is yet another context where trust modeling is critical. The aim of the workshop is to bring together researchers (ideally from different disciplines) who can contribute to a better understanding of trust and reputation in agent societies. We welcome submissions of high-quality research addressing issues that are clearly relevant to trust, deception, privacy, reputation, security and control in agent-based systems, from theoretical, applied and interdisciplinary perspectives. Submitted contributions should be original and not submitted elsewhere. Papers accepted for presentation must be relevant to the workshop, and to demonstrate clear exposition, offering new ideas in suitable depth and detail. 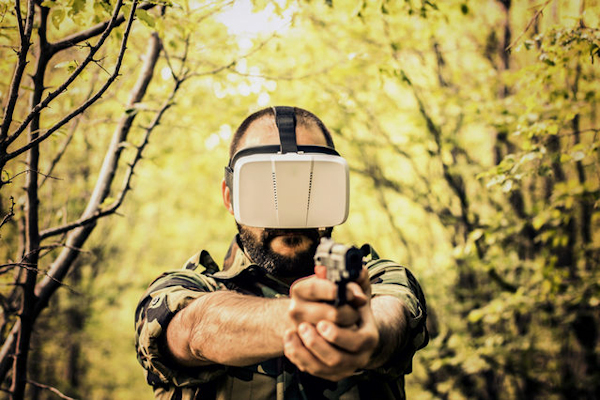 The immersive segment takes an 1865 Confederate cadet dodging enemy fire in muddy trenches from 2D to 360 degrees. The Discovery-owned American Heroes Channel is bringing the Civil War from 2D to 360 degrees with a virtual reality experience. 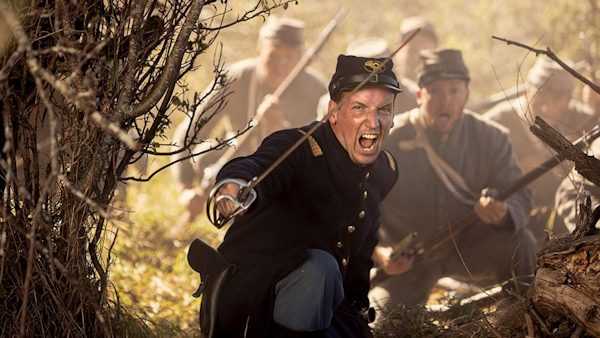 The cable network’s short VR segment Civil War: Letter From the Trenches, from Cream 360 and Discovery VR, is a companion piece to Blood and Fury: America’s Civil War, a TV series set to debut Dec. 14 and transport viewers to tumultuous battles like Bull Run, Fredericksburg and Gettsyburg from a soldier’s point of view. Virginia Tech’s Department of Computer Science is searching for multiple tenured and tenure-track faculty members to join our vibrant, collaborative, and rapidly growing department. We are especially encouraging applicants with expertise in either game design/development *or* human-computer interaction (HCI). Gaming-focused applicants working in any technical area of digital game design/development are also encouraged, and this position is one of several gaming-related faculty searches happening this year as part of the new Creative Technologies + Experiences strategic growth area. HCI-focused applicants may complement our faculty’s existing strengths, including virtual/augmented reality, visualization, social informatics, tangible interfaces, digital libraries, and creativity support, or bring new expertise in HCI. 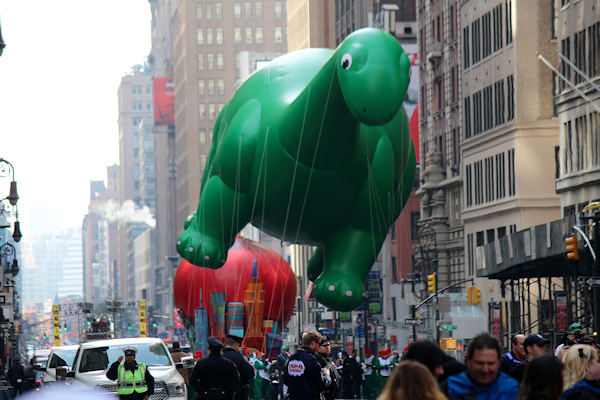 Ever dreamed of getting your Godzilla or Stay Puft Marshmallow Man on and stalking through a city, towering high above its buildings? The founder of cutting-edge Silicon Valley virtual reality studio Amber Garage certainly did. As a kid, Botao Hu, aka Amber, fantasized about this scenario. Well, jump forward a decade and successful stints as a landscape photographer, data scientist and robotics expert, and the 27-year-old Hu has the means by which to make the dream a reality. This conference will bring together researchers and practitioners with an international reach and from a wide variety of education design settings with the intention of connecting emergent models and ideas around the digital, with the scholarship of teaching and learning. We also look to issues beyond the attraction of the digital in learning: other ways of acting, knowing and becoming in design – in the full range of educational settings from kindergarten to PhD. Student’s’ learning approaches demand creative solutions to a wide range of complex themes and contexts. We welcome debates on the scope of learner literacies and studies that investigate how formal and informal learning can be synergized. Dialogues that address new cultures of learning, issues of learner identities, tutor roles, space and their implications in the design of learning environments are also encouraged. In this context the digital imbues all such practices. This is a call for papers and we hope you will make a date in your diary to contribute to the conference. Places will be limited and an international committee will review the submitted papers. Opportunities to publish with a range of international journals will be available for successful research articles following the conference. What will it mean when millions of people play – and kill – in virtual reality? 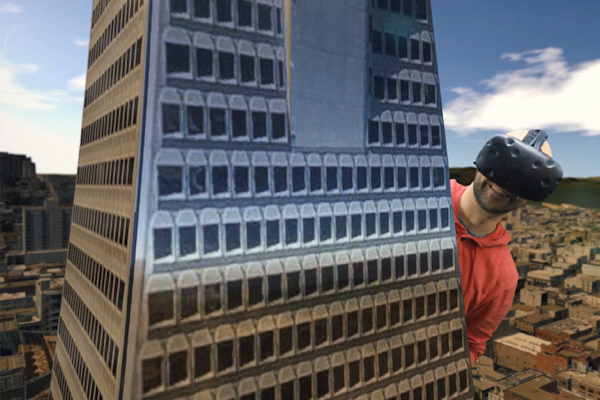 What will it mean when millions of people play—and kill—in virtual reality? It’s 1944. You’re an American G.I. on the Pacific island of Peleliu and a Japanese tank is creeping your way. You aim your bazooka and pull the trigger, sending the tank flying in a cloud of fire and molten steel. Somebody yells, “One down, keep it up!” You run toward the burning wreck and see a Japanese soldier, whose legs have been blown off, writhing in agony. You pull out your machine gun, point it at his face, and fire. This execution of a wounded soldier is one of hundreds of savage scenes in the video game franchise Call of Duty, which has sold more than 250 million copies since its introduction in 2003. The game’s violence is hardly unusual in this multibillion-dollar industry. Now imagine such scenes rendered in virtual reality, or VR—you could literally crane your neck down to see the Japanese soldier begging for mercy at your feet and, when you fire, watch his blood splatter toward you. The most entertaining video we posted on Video Friday a couple weeks ago was almost certainly Robot Drone Man, a parody of this PPAP (Pen Pineapple Apple Pen) video, which for some reason has 150 million views on YouTube. 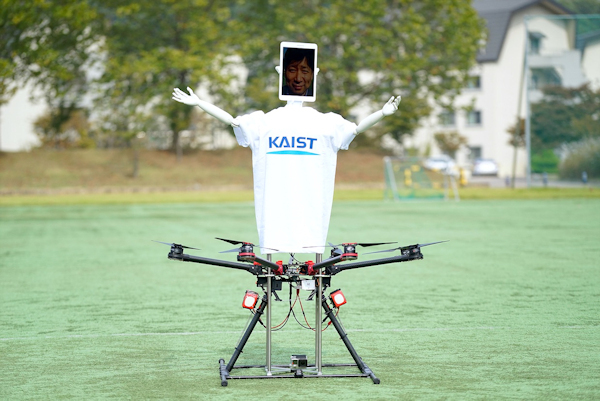 Parody or not, Robot Drone Man actually exists, and it’s a project of Ilhan Bae, a researcher and futurist at the Korea Advanced Institute of Science and Technology (KAIST), who wrote in to tell us about it. Robot Drone Man is an avatar drone, in the same category as other mobile telepresence robots like Double and Beam. It allows a remote human to have an embodied physical presence through a mobile robot, although in this case, the robot can fly, since most of it is a DJI S1000 octocopter. On top of the octocopter is a Kubi telepresence robot to take care of the actual telepresence bit. With a height of 1.4 meters (landed), it’s designed to match the eye level of people interacting with it, and the remote operator can “gesticulate with two hands and head as if a distant operator exists in person,” says Bae, adding that this is “the first trial to couple a telepresence robot in an upright position and drone platform into one body.” He explains that “it may look impractical to install heavy robot parts on a light drone, but the benefits of telepresence via a flying drone overwhelm the restricted mobility of telepresence robots strolling indoors.” In other words, Robot Drone Man FLY!